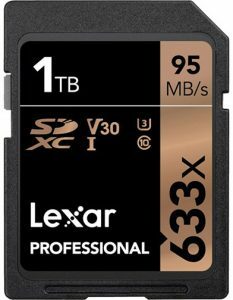 San Jose, CA—Lexar, a global brand of flash memory solutions, announced the Lexar Professional 1TB 633x SDXC UHS-I memory card. With 1 terabyte (TB) of memory, photographers and videographers can shoot and record more of what they want to without changing cards. The high-capacity 1TB memory card is designed for use with mid-range DSLRs, HD camcorders or 3D cameras. The Lexar Professional 633x SDXC UHS-I card enables users quickly capture and transfer high-resolution photos and 1080p Full HD, 3D and 4K video. It offers read speeds of up to 633x (95MB/s). In addition, the Class 10 card leverages UHS-I technology to deliver high-speed performance. “Almost fifteen years ago, Lexar announced a 1GB SD card. Today, we are excited to announce 1TB of storage capacity in the same convenient form factor. 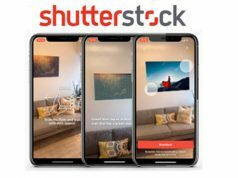 As consumers continue to demand greater storage for their cameras, the combination of high-speed performance with a 1TB option now offers a solution for content creators who shoot large volumes of high-resolution images and 4K video,” said Joey Lopez, senior marketing manager, Lexar. 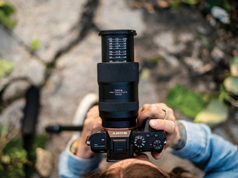 All with all Lexar product designs, the new memory had to undergo extensive testing in the Lexar Quality Labs. The facilities, with more than 1,100 digital devices, test to ensure performance, quality, compatibility and reliability. 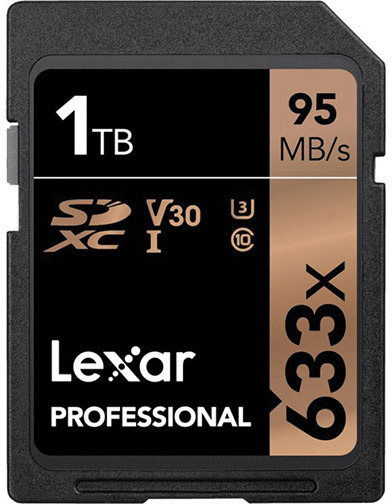 The 1TB Lexar Professional 633x SDXC UHS-I memory card is available now at a suggested retail price of $499.99. In addition, it comes with a limited lifetime warranty. 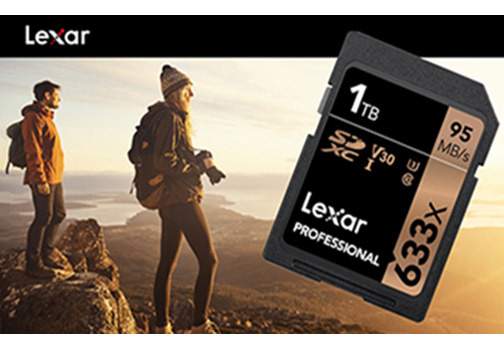 Lexar has been a trusted global brand of memory solutions for more than 20 years. Its lineup includes memory cards, USB flash drives, card readers as well as solid-state drives. Moreover, its parent company, Longsys, is a leader in consumer NAND flash applications.